If you’re in the market for a new car near Los Angeles, then make your way to Honda World Downey to check out the entire lineup of new Honda models, including popular new SUVs like the Honda CR-V, as well as popular new sedans and new coupes like the Honda Civic and Accord. Find models with popular features like the Honda Sensing® driver assistance suite at our dealership in Downey, and value your trade online to get help with your down payment! Scores 40 Highway MPG and 33 City MPG! This Honda Fit boasts a Regular Unleaded I-4 1.5 L/91 engine powering this Variable transmission. Wheels: 15 w/Full Covers, VSA Electronic Stability Control (ESC), Urethane Gear Shift Knob. *This Honda Fit Comes Equipped with These Options *Trip Computer, Transmission: Continuously Variable (CVT) -inc: ECON button and ECON mode indicator, Torsion Beam Rear Suspension w/Coil Springs, Tires: 185/60R15 84T AS, Tailgate/Rear Door Lock Included w/Power Door Locks, Strut Front Suspension w/Coil Springs, Steel Spare Wheel, Single Stainless Steel Exhaust, Side Impact Beams, Seats w/Cloth Back Material. * Stop By Today *Stop by Honda World Downey located at 10645 Studebaker Rd, Downey, CA 90241 for a quick visit and a great vehicle! Boasts 40 Highway MPG and 33 City MPG! This Honda Fit boasts a Regular Unleaded I-4 1.5 L/91 engine powering this Variable transmission. Wheels: 15 w/Full Covers, VSA Electronic Stability Control (ESC), Urethane Gear Shift Knob. * This Honda Fit Features the Following Options *Trip Computer, Transmission: Continuously Variable (CVT) -inc: ECON button and ECON mode indicator, Torsion Beam Rear Suspension w/Coil Springs, Tires: 185/60R15 84T AS, Tailgate/Rear Door Lock Included w/Power Door Locks, Strut Front Suspension w/Coil Springs, Steel Spare Wheel, Single Stainless Steel Exhaust, Side Impact Beams, Seats w/Cloth Back Material. * Stop By Today *For a must-own Honda Fit come see us at Honda World Downey, 10645 Studebaker Rd, Downey, CA 90241. Just minutes away! Scores 36 Highway MPG and 31 City MPG! This Honda Fit boasts a Regular Unleaded I-4 1.5 L/91 engine powering this Variable transmission. Wheels: 16 Gloss-Black Alloy, VSA Electronic Stability Control (ESC), Trip Computer. * This Honda Fit Features the Following Options *Transmission: Continuously Variable (CVT) -inc: dual-mode paddle shifters, ECON button, ECON mode indicator, shift lever position indicator, sequential mode gear selection indicator and shift up/down indicator, Torsion Beam Rear Suspension w/Coil Springs, Tires: 185/55R16 83H AS, Tailgate/Rear Door Lock Included w/Power Door Locks, Strut Front Suspension w/Coil Springs, Steel Spare Wheel, Single Stainless Steel Exhaust w/Chrome Tailpipe Finisher, Side Impact Beams, Seats w/Cloth Back Material, Rocker Panel Extensions. * Visit Us Today *Test drive this must-see, must-drive, must-own beauty today at Honda World Downey, 10645 Studebaker Rd, Downey, CA 90241. Boasts 36 Highway MPG and 31 City MPG! This Honda Fit boasts a Regular Unleaded I-4 1.5 L/91 engine powering this Variable transmission. Wheels: 16 Machine-Finished Alloy w/Black Inserts, VSA Electronic Stability Control (ESC), Variable Intermittent Wipers. *This Honda Fit Comes Equipped with These Options *Urethane Gear Shift Knob, Trip Computer, Transmission: Continuously Variable (CVT) -inc: dual-mode paddle shifters, ECON button, ECON mode indicator, shift lever position indicator, sequential mode gear selection indicator and shift up/down indicator, Torsion Beam Rear Suspension w/Coil Springs, Tires: 185/55R16 83H AS, Tailgate/Rear Door Lock Included w/Power Door Locks, Strut Front Suspension w/Coil Springs, Steel Spare Wheel, Single Stainless Steel Exhaust, Side Impact Beams. * Stop By Today *You've earned this- stop by Honda World Downey located at 10645 Studebaker Rd, Downey, CA 90241 to make this car yours today! Scores 36 Highway MPG and 31 City MPG! This Honda Fit boasts a Regular Unleaded I-4 1.5 L/91 engine powering this Variable transmission. Wheels: 16 Machine-Finished Alloy w/Black Inserts, VSA Electronic Stability Control (ESC), Variable Intermittent Wipers. *This Honda Fit Comes Equipped with These Options *Urethane Gear Shift Knob, Trip Computer, Transmission: Continuously Variable (CVT) -inc: dual-mode paddle shifters, ECON button, ECON mode indicator, shift lever position indicator, sequential mode gear selection indicator and shift up/down indicator, Torsion Beam Rear Suspension w/Coil Springs, Tires: 185/55R16 83H AS, Tailgate/Rear Door Lock Included w/Power Door Locks, Strut Front Suspension w/Coil Springs, Steel Spare Wheel, Single Stainless Steel Exhaust, Side Impact Beams. * Visit Us Today *Come in for a quick visit at Honda World Downey, 10645 Studebaker Rd, Downey, CA 90241 to claim your Honda Fit! Boasts 36 Highway MPG and 31 City MPG! This Honda Fit boasts a Regular Unleaded I-4 1.5 L/91 engine powering this Variable transmission. Wheels: 16 Machine-Finished Alloy w/Black Inserts, VSA Electronic Stability Control (ESC), Variable Intermittent Wipers. *This Honda Fit Comes Equipped with These Options *Urethane Gear Shift Knob, Trip Computer, Transmission: Continuously Variable (CVT) -inc: dual-mode paddle shifters, ECON button, ECON mode indicator, shift lever position indicator, sequential mode gear selection indicator and shift up/down indicator, Torsion Beam Rear Suspension w/Coil Springs, Tires: 185/55R16 83H AS, Tailgate/Rear Door Lock Included w/Power Door Locks, Strut Front Suspension w/Coil Springs, Steel Spare Wheel, Single Stainless Steel Exhaust, Side Impact Beams. 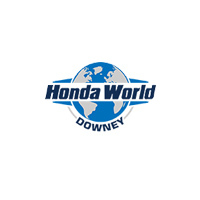 * Stop By Today *A short visit to Honda World Downey located at 10645 Studebaker Rd, Downey, CA 90241 can get you a reliable Fit today! Check out this reliable 2019 Honda CIVIC LX. .* Visit Us Today *A short visit to Honda World Downey located at 10645 Studebaker Rd, Downey, CA 90241 can get you a tried-and-true CIVIC today! Boasts 38 Highway MPG and 30 City MPG! This Honda Civic Sedan boasts a Regular Unleaded I-4 2.0 L/122 engine powering this Variable transmission. Window Grid Antenna, Wheels: 16 w/Full Covers, VSA Electronic Stability Control (ESC). * This Honda Civic Sedan Features the Following Options *Valet Function, Trunk Rear Cargo Access, Trip Computer, Transmission: Continuously Variable (CVT), Tires: 215/55R16 93H AS, Systems Monitor, Strut Front Suspension w/Coil Springs, Steel Spare Wheel, Sliding Front Center Armrest, Single Stainless Steel Exhaust. * Stop By Today *Stop by Honda World Downey located at 10645 Studebaker Rd, Downey, CA 90241 for a quick visit and a great vehicle! Delivers 38 Highway MPG and 30 City MPG! This Honda Civic Sedan delivers a Regular Unleaded I-4 2.0 L/122 engine powering this Variable transmission. Window Grid Antenna, Wheels: 16 w/Full Covers, VSA Electronic Stability Control (ESC). * This Honda Civic Sedan Features the Following Options *Valet Function, Trunk Rear Cargo Access, Trip Computer, Transmission: Continuously Variable (CVT), Tires: 215/55R16 93H AS, Systems Monitor, Strut Front Suspension w/Coil Springs, Steel Spare Wheel, Sliding Front Center Armrest, Single Stainless Steel Exhaust. * Visit Us Today *For a must-own Honda Civic Sedan come see us at Honda World Downey, 10645 Studebaker Rd, Downey, CA 90241. Just minutes away! Delivers 38 Highway MPG and 30 City MPG! This Honda Civic Sedan boasts a Regular Unleaded I-4 2.0 L/122 engine powering this Variable transmission. Window Grid Antenna, Wheels: 16 w/Full Covers, VSA Electronic Stability Control (ESC). * This Honda Civic Sedan Features the Following Options *Valet Function, Trunk Rear Cargo Access, Trip Computer, Transmission: Continuously Variable (CVT), Tires: 215/55R16 93H AS, Systems Monitor, Strut Front Suspension w/Coil Springs, Steel Spare Wheel, Sliding Front Center Armrest, Single Stainless Steel Exhaust. * Visit Us Today *Come in for a quick visit at Honda World Downey, 10645 Studebaker Rd, Downey, CA 90241 to claim your Honda Civic Sedan! Scores 38 Highway MPG and 30 City MPG! This Honda Civic Sedan delivers a Regular Unleaded I-4 2.0 L/122 engine powering this Variable transmission. Window Grid Antenna, Wheels: 16 w/Full Covers, VSA Electronic Stability Control (ESC). * This Honda Civic Sedan Features the Following Options *Valet Function, Trunk Rear Cargo Access, Trip Computer, Transmission: Continuously Variable (CVT), Tires: 215/55R16 93H AS, Systems Monitor, Strut Front Suspension w/Coil Springs, Steel Spare Wheel, Sliding Front Center Armrest, Single Stainless Steel Exhaust. * Stop By Today *A short visit to Honda World Downey located at 10645 Studebaker Rd, Downey, CA 90241 can get you a dependable Civic Sedan today! Boasts 38 Highway MPG and 30 City MPG! This Honda Civic Sedan boasts a Regular Unleaded I-4 2.0 L/122 engine powering this Variable transmission. Window Grid Antenna, Wheels: 16 w/Full Covers, VSA Electronic Stability Control (ESC). * This Honda Civic Sedan Features the Following Options *Valet Function, Trunk Rear Cargo Access, Trip Computer, Transmission: Continuously Variable (CVT), Tires: 215/55R16 93H AS, Systems Monitor, Strut Front Suspension w/Coil Springs, Steel Spare Wheel, Sliding Front Center Armrest, Single Stainless Steel Exhaust. * Stop By Today *A short visit to Honda World Downey located at 10645 Studebaker Rd, Downey, CA 90241 can get you a dependable Civic Sedan today! Boasts 38 Highway MPG and 30 City MPG! This Honda Civic Sedan delivers a Regular Unleaded I-4 2.0 L/122 engine powering this Variable transmission. Window Grid Antenna, Wheels: 16 w/Full Covers, VSA Electronic Stability Control (ESC). * This Honda Civic Sedan Features the Following Options *Valet Function, Trunk Rear Cargo Access, Trip Computer, Transmission: Continuously Variable (CVT), Tires: 215/55R16 93H AS, Systems Monitor, Strut Front Suspension w/Coil Springs, Steel Spare Wheel, Sliding Front Center Armrest, Single Stainless Steel Exhaust. * Stop By Today *Come in for a quick visit at Honda World Downey, 10645 Studebaker Rd, Downey, CA 90241 to claim your Honda Civic Sedan! Check Out New Car Prices at Your Whittier Area Honda Dealer! Of the new car dealers in Downey, drivers in Norwalk know they can count onHonda World Downey for competitive new car loan rates and straightforward financial assistance. Get a headstart on your purchase by getting pre-qualified for a car loan, and then use our online payment calculator to estimate your monthly car payments. Our dealership is open seven days a week and you can contact us online anytime!